Who doesn’t know this picture? In front of you the majestic Harbour Bridge and to your left the world-famous Opera House. 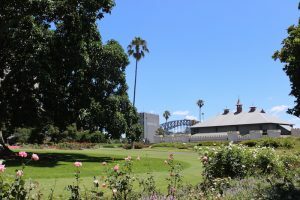 This postcard motive can be found at Macquarie Point which is close to the Royal Botanical Gardens. 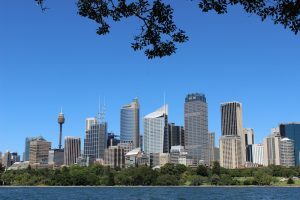 Macquarie Point offers the best view of Sydney’s two icons and its skyline. It’s a great place to relax as there are several benches and green areas. I used to write my travel blog there and I think there couldn’t have been a more perfect spot for it. This place is also THE hotspot for all tourists who are celebrating New Year’s Eve in Sydney. There will be a post about it very soon on my blog as well. So it’s really a great place which you shouldn’t miss when in Sydney. If you’re visiting Sydney there will be one sight you’ll always see: the Harbour Bridge. If you have a closer look, you’ll notice some small moving spots at the very top of the bridge. I was first wondering about it until I realised that those spots were people. 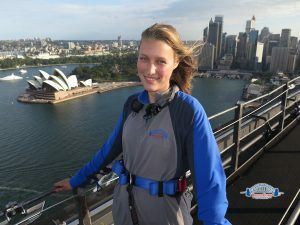 Yes, it’s possible to climb this iconic bridge! You can go all the way up to the flagg and I could only imagine how beautiful the view from there must be. Although I’m a little bit afraid of heights, I gathered all my courage and booked the Bridge Climb for one of the following days. I’ve read so many amazing reviews and although I was excited, I couldn’t wait for it. And let me already tell you: it was definitely the best decision I could have made. It was absolutely fantastic! For me, it’s definitely one of the most beautiful places that Sydney has to offer. It’s an amazing experience you shouldn’t miss. Bondi Beach is a starting point for several hikes and walks which all guarantee amazing views. One of them is described in the next paragraph. One of my favorite coastal walks is the one that takes you from Bondi to Coogee (it’s also possible to do the walk the other way around). 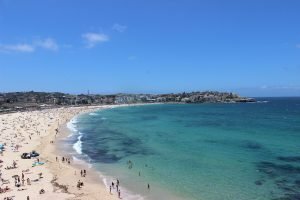 Coogee has a stunning beach which is really beautiful and not as crowded as Bondi Beach. The walk is amazing, you walk along the coast and on the way you can enjoy stunning views. There are also a few beaches along the way which are really nice and perfect for a break. The total length of the walk is 6 kilometers but I would definitely recommend to take some breaks. I really enjoyed swimming and relaxing at the beaches, especially because they weren’t crowded. If you want to extend your walk, you can go from Coogee to Maroubra. There is another great beach. All information and maps can be found HERE. 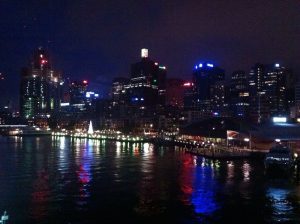 Darling Harbour is an amazing quarter with countless cafés, bars und restaurants. Especially at night it has an amazing atmosphere. I loved drinking a cocktail and listening to the live bands while admiring Sydney’s skyline. 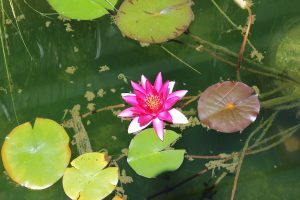 A true paradise of peace can be found at the Royal Botanical Gardens. 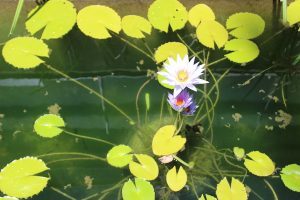 They were originally used as a vegetable patch but today you can find beautiful flowers and plants there. There are lots of green areas which is why it’s the perfect picnic spot. So just grab a good book and some food and enjoy the peacefulness of the Gardens. 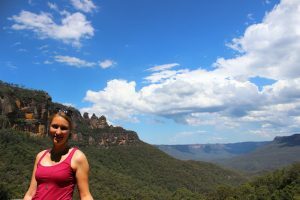 The Blue Mountains are not a direct part of Sydney, but it’s so close that it’s perfect for a day trip. For me, it has been the first time I’d seen a jungle in real life which is why I really enjoyed this trip. Before I show you what’s so great about the Blue Mountains, I’d like to give you a tip: Don’t visit this national park during the main tourist hours. Try to be there in the morning (before the busses arrive) or in the late afternoon (when the busses are gone). Believe me, you don’t want to be there when all tourists visit this place at the same time. It gets super crowded and it destroys the atmosphere of the jungle. There is a cable car from which you have a breathtaking view over the Three Sisters and the Blue Mountains National Park. It also brings you right to the heart of the park from where you can start different hikes. All information and maps can be found HERE. I was really impressed by the nature of the jungle. It’s absolutely beautiful there! 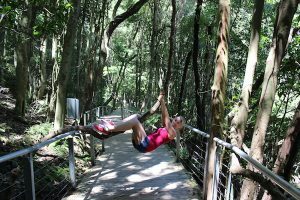 So if you’re close to Sydney, make sure to visit this Park. It’s absolutely worth it and one of the most beautiful places in and around Sydney. 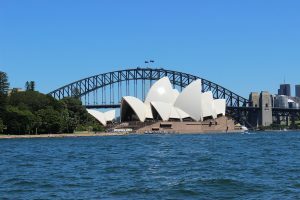 Sydney is a fascinating city with so many beautiful places and sights. I hope I could give you an insight into my favorite spots and hopefully you liked them as much as I do.